It's funny how times change, isn't it. This time a year ago, I never ever wore orange, and now it's one of my favourite colours - it's certainly one of my go-tos if I need cheering up. Today's post features a STUNNING polish from an Etsy store called Enkelini which has more types of fabulous in it than the Queen of Fabulous can shake a stick at. But she doesn't ship to the UK. So I had to wait til my BPFF Missy needed to do a swap so that I could twist her arm and get her to bag me some beauties. 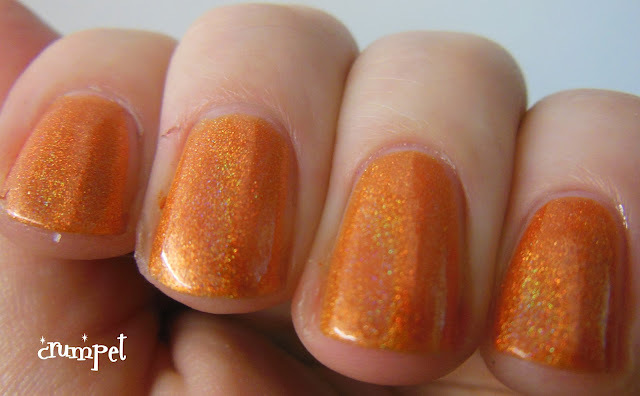 Enkelini's polishes are hands down some of the best holos I own - that's right, better than some big name brands. 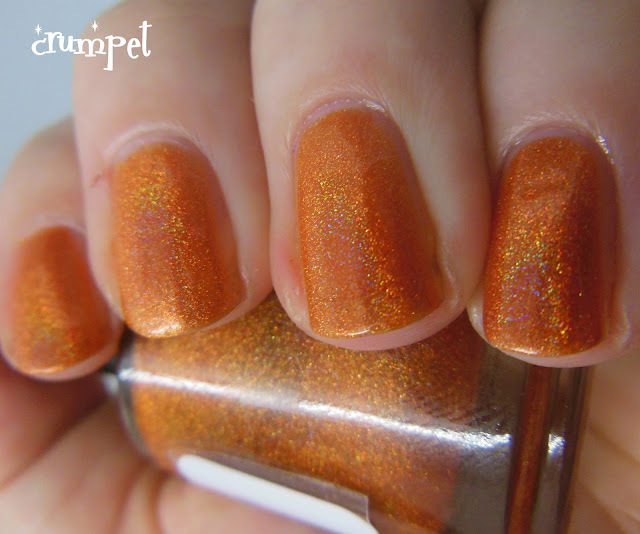 They're definitely the best indie holos I have tried. They are delicate, intense and bright and gorgeously scattered, never once drifting into "artifical bend" territory. Today you're seeing the delicious Lainey Lou - to be honest, I even love the name lol! 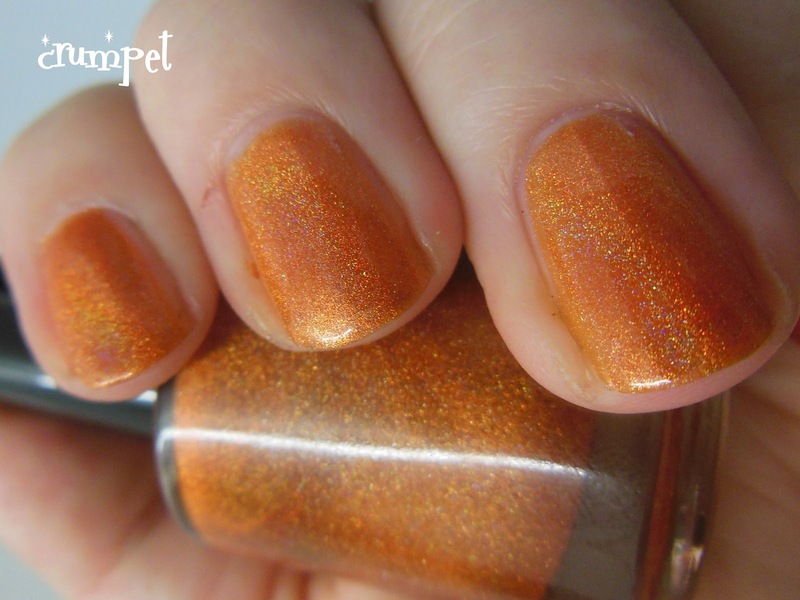 But an orange holo - well, it's a holy grail isn't it, and I've got the comparison post coming shortly to prove it. 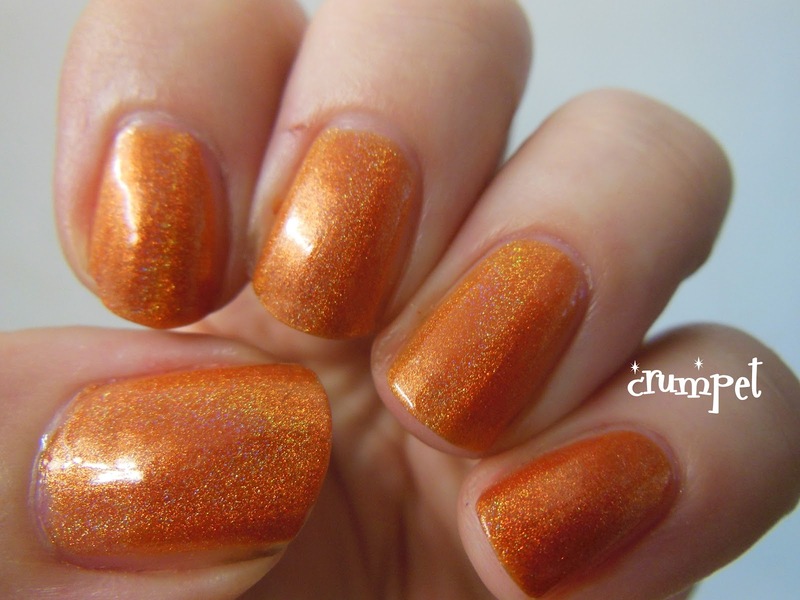 The holo in this is quite sensational. There is a LOT and the warmth of the rainbow only serves to highlight the beautiful pigmentation of the orange. If you can't tell, I love this one. A LOT. You can find Enkelini here. I have another 2 or 3 polishes to try. She's so good she even made me want to buy a green! I know !! !